the best sake since 1673.
striving each year to make it better than the last. but also how it is planted. sake made without added alcohol or sugar. Our sake is made from rice, water, and koji. And the simple wish to make delicious, timeless sake. Putting true sake flavor over profit. The first to revive junmai in 1964. Junmai is a term for pure sake made only with rice and rice koji. For years, adding alcohol to sake to increase volume was the mainstream. During World War II, it was done because of rice shortages. After the war, sake makers did it to increase profits. Today 80% of sake on the market has added alcohol. In 1964, Tamanohikari revived junmai for the first time in the industry. Because junmai takes up to 1.8 times the rice that added-alcohol sake requires, this practice was done at considerable cost to the brewery. Yet it could not raise the price of its products in fear that sales would plummet. What is more, few people in those days had a true appreciation for junmai. For Tamanohikari, it was one hardship after another. Still, we believe this centuries-long tradition of making sake only with rice is the way to achieve the true flavor of sake. That’s why to this day, Tamanohikari brews only junmai. but also the way it is planted. 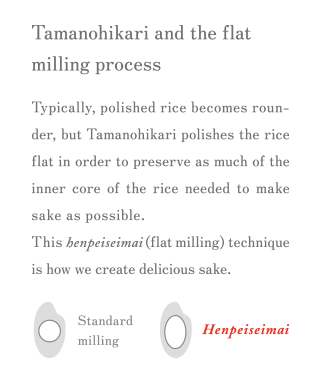 Because Tamanohikari is made only with rice, water, and koji, our commitment to rice is extraordinary. 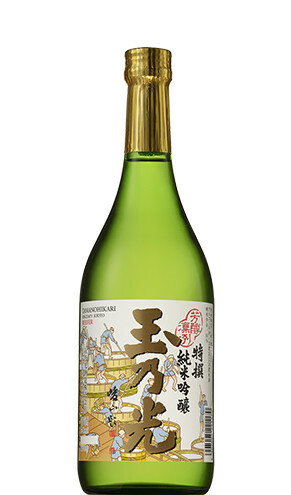 Today only 5% of the sake on the market in Japan is made using shuzo kotekimai, rice that is suitable for brewing sake. Tamanohikari uses bizen-omachi, a rare variety regarded as the best rice for making sake, and yamadanishiki, praised as the “yokozuna” (master) of sake rice, as well as premium-quality iwai sake rice from Kyoto. Each spring we visit the locations where our rice is produced. Our employees put on long boots and stand next to the riceplanting farmers. As planting seedlings too closely causes quality to suffer, the farmers take care to leave sufficient space in between. The harvested rice from each producer is inspected to determine the ratios of protein and moisture content. We only use rice that meets our one-of-a-kind strict standards. Nothin’else. We also polish our own rice. The more rice is polished, the more the harshness disappears, resulting in sake with a refined flavor. We polish the rice as much as possible on our own. Using special rollers, we slowly scrape off the fat and protein. It’s precision work that takes anywhere from 30 to 48 hours. Sake made with rice from which 40% of the outer covering has been polished is called ginjo. When over 50% is removed, it’s called dai-ginjo. 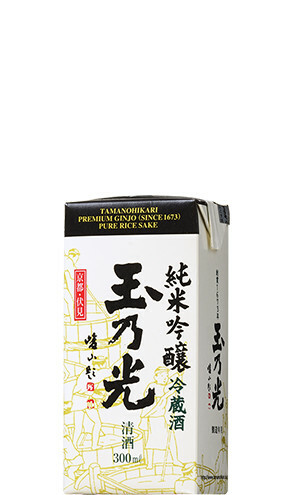 Tamanohikari makes only junmai ginjo and dai-ginjo. It’s hardly an efficient method, and only 5% of the sake on the market is junmai ginjo. Still, we are confident that this is the true way to make sake. the blessings of the Earth. The Fushimi ward of Kyoto is blessed with excellent groundwater. At Tamanohikari, the water we use for all steps, from washing the sake rice, steaming, and creating the moto yeast starter and the moromi mash, all comes from a source in Momoyama Hills. Centuries ago, legendary warrior Toyotomi Hideyoshi (1537-1598) pumped the same water for use in his tea ceremonies. Today the source is recognized by Japan’s Ministry of the Environment as one of the country’s 100 finest waters. Tamanohikari is adamant about selecting only the finest rice and koji. But when it comes to water, we simply give thanks to the blessings of the Earth. Koji is a living thing. 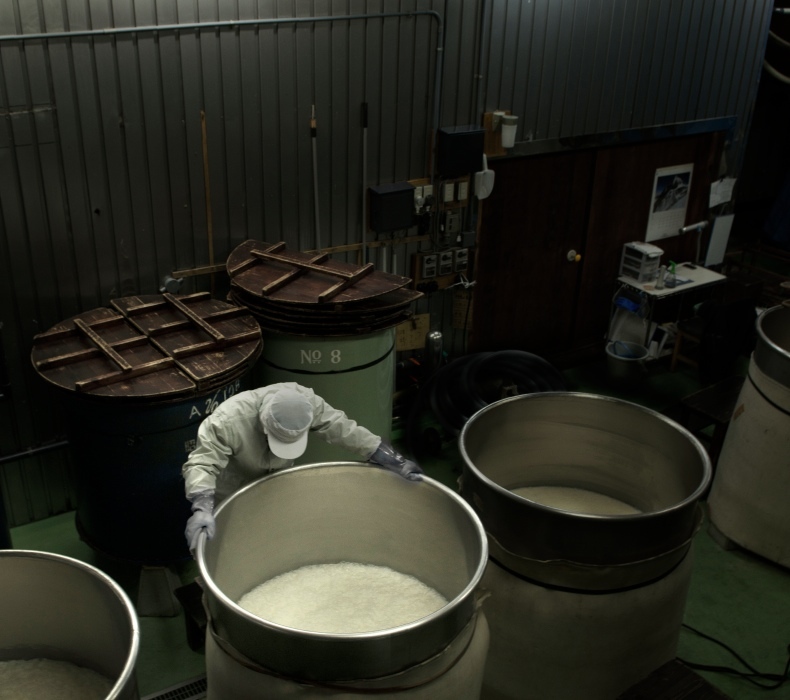 The sprinkling of koji mold to make koji rice is one of the most important processes in sake making. At Tamanohikari, this process is entirely done by hand. The way the koji mold is sprinkled on the steamed rice is determined by the many years of experience and the intuition of the toji chief brewers. Held in their hands and kept at a temperature that makes growing the koji mold easier, it is gently massaged to activate it. Koji is, in fact, a living thing. Around the clock, it is lovingly nurtured and grown. Then after about two days it develops a sweet chestnut-like aroma in the koji cultivating room (seikikushitsu), signaling that Tamanohikari koji rice is ready. Half a century has passed since Tamanohikari revived the tradition of junmai pure rice sake. Today more and more people appreciate the quality of junmai and ginjo pure sake. But still, you could look all over Japan and you will find only a handful of breweries dedicated to the making of junmai ginjyo and junmai dai-ginjo. 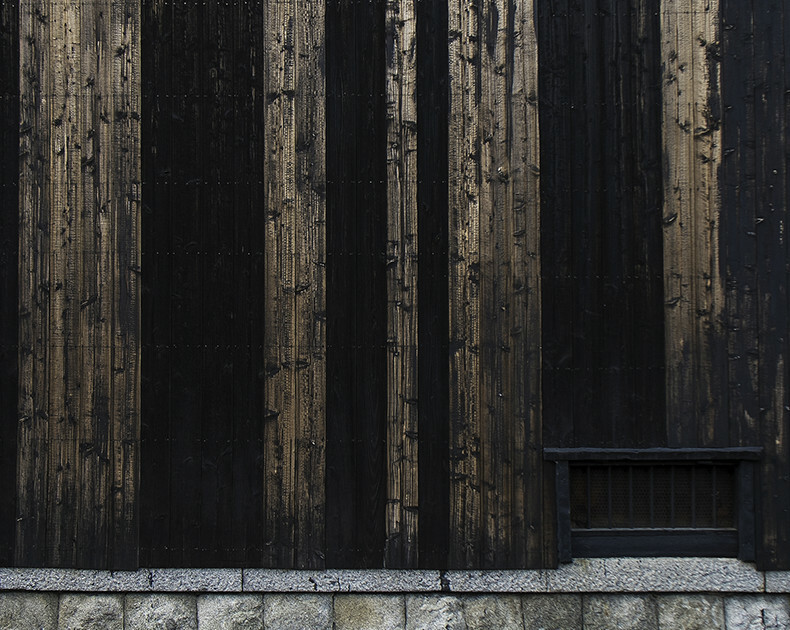 As one of Japan’s only junmai ginjo breweries, we will continue to uphold the traditions of years past here in Fushimi, Kyoto, and simply make the best possible sake. Our premium-quality junmai daiginjo sake, made using bizen-omachi, a rare variety of rice regarded as the best for making sake. It pairs well with sushi and tempura, as well as fish-based French and Italian dishes. 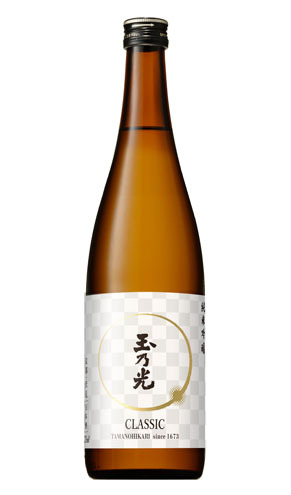 Brewed using only iwai sake rice from Kyoto, a special variety revived in recent years by farmers and the Japanese government. Elegant with a subtle ginjo fragrance, it’s perfect for traditional Kyoto cuisine and duck. Using a traditional method called yamahai shikomi with a slower brewing process, this rich sake will whet your appetite with the way it expresses the umami of the rice. Try it with grilled chicken, steak, and other richly-flavored foods. The smooth umami of rice is combined with a crisp, highly acidic flavor. Our leading junmai ginjo sake brings out the ultimate balance when paired with sushi, sashimi, grilled fish and other Japanese dishes. Junmai ginjo packs filled using our unique method and stored at low temperatures to preserve the fresh flavor and aroma. The graceful dry flavor is recommended for red fish sashimi and tempura. A clean, crisp flavor with just the right balance of natural acidity and umami. One of the few fine sake varieties available in aluminum cans, it’s the perfect serving size for ramen restaurants and izakaya pubs. Brewery tours are not offered. Founder NakayaRokuzaemon opened his business under license from Tokugawa Mitsusada (grandson of Ieyasu), the second lord of the Kishudomain, in Yoriai-cho, Wakayama. The legend behind the name TAMANOHIKARI states that for generations Rokuzaemon was devoted to the Hayatama Shrine in Kumano, Kishu, and the sake was named with the meaning that it reflects the spirit of the shrine’s chief gods Izanagi-no-mikoto and Izanami-no-mikoto. The current president is the company's 13th. TAMANOHIKARI Sake Brewing Co., Ltd. is established. After World War II (from 1952 to the late 1960s) it was moved to Fushimi in Kyoto. 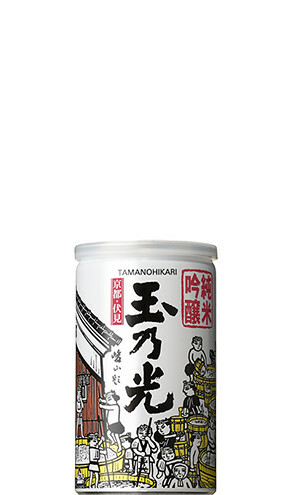 TAMANOHIKARI leads the industry in developing its exclusive 100% junmaipure rice sake. 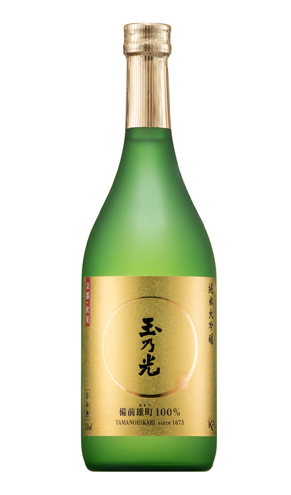 It has since worked to improve the quality of its JunmaiGinjo sake to this day. The ultimate goal is to create fragrant sake that’s always refreshing, finding the balance between natural acidity and sweetness. The Tokyo branch is opened in Machida City, Tokyo. Chotokkyu Tamanohikari no-additive sake is released. TAMANOHIKARI casual Japanese restaurant is opened in Tokyo to promote TAMANOHIKARI Junmairefined sake. It would later open in Nagoya and Osaka.Sapporo Mutenkakaievent begins. Junmai Ginjo paper pack (450 ml) is released. Production and sales of rice shochu begin. Tamanohikari cask used in traditional cask-breaking ceremony at start of Prime Minister Ohira's term. All Junmai pure sake is elevated in quality to Junmai-Ginjo. Junmai Ginjo Shukon is released. Ujita’s Saketsuunyuumon (Introduction to Sake-making) is published. Omachi rice is revived and special grade sake Chotokusen Bizen-Omachi is released. Ide Brewery is established in the town of Ide in Kyoto. 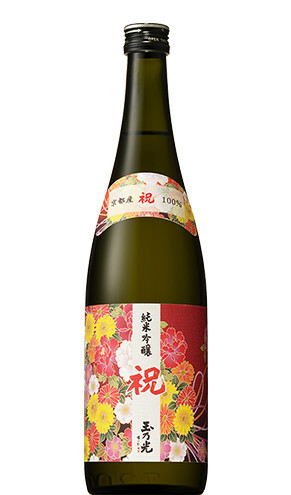 Junmai Dai-ginjo Kokoro-no-kyo is released, using Kyoto-produced rice ideal for sake brewing, celebrating 1200 years since the relocation of Japan's capital to ancient Kyoto. Junmai Ginjo paper pack (300 ml) is released. Pour and Freeze Mizore-sake Freezer," which achieves a supercooling effect, is developed. Ujita’sZoku-saketsuunyuumon (a sequel to his Introduction to Sake-making) shikonshousai is published. Junmai Ginjo Yamahai is released. 100th Kyoto Mutenkakai event is held at Karasuma Kyoto Hotel. Mr. Hiroshi Ujita is appointed President. Junmai Ginjo Hiya-oroshi is released. Mr. Tsuneo Maruyama is appointed President. TAMANOHIKARI casual Japanese restaurant in Nagoya closes due to building reconstruction. First opening of the storehouse for the Nihonshu Matsuri festival. 100th Nagoya Mutenkakai event is held at Apa Hotel Nagoya Nishiki. Junmai Ginjo Sasanigori is released. Junmai Dai-ginjo Shuho is released. Kyo-no-Umeshu and Kyo-no-Yuzushu are released. New shochu Manekitsune and 29 are announced.